Astronomers witness the birth of a massive binary star system. Observations of a massive spiralling cloud of gas and dust have given a team astronomers from across the globe a glimpse at how a binary system forms. Astronomers have made observations of a molecular cloud that is collapsing to form two massive protostars that will eventually become a binary star system. Even though scientists know that most massive stars possess orbiting stellar companions it has been unclear how this comes about — are the stars born together from a common spiralling gas disk at the centre of a collapsing cloud, or do they pair up later by chance encounters in a crowded star cluster? Understanding the dynamics of forming binaries has been difficult because the protostars in these systems are still enveloped in a thick cloud of gas and dust that prevents light they emit from reaching us. Fortunately, it is possible to see them using radio waves, as long as they can be imaged with sufficiently high spatial resolution. 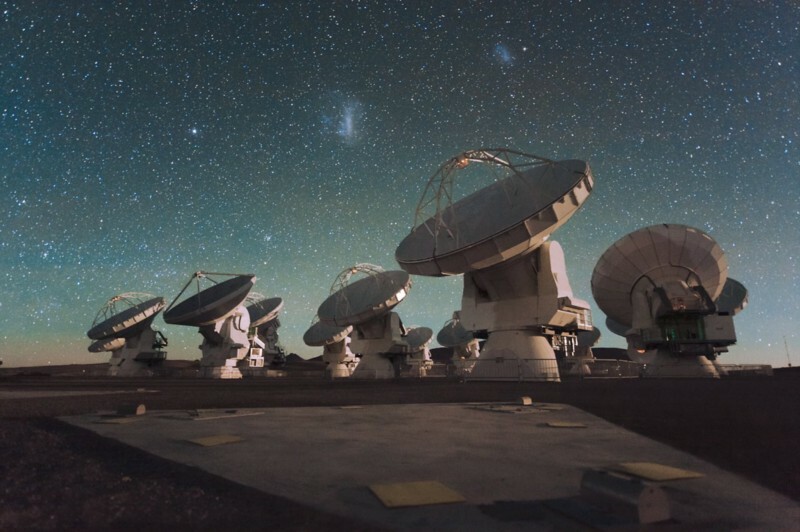 In the current research, published in Nature Astronomy, the researchers — led by Yichen Zhang of the RIKEN Cluster for Pioneering Research and Jonathan C. Tan at Chalmers University and the University of Virginia — used the Atacama Large Millimeter/Submillimeter Array (ALMA) telescope array in northern Chile to observe a star-forming region known as IRAS07299–1651, which is roughly 5,500 light years from the Sun. The observations showed that even at an early stage, the cloud contains two objects — a massive “primary” central star and another “secondary” forming star comprising a system 18 times as massive as our Sun. The team was able to use these observations to deduce the dynamics of the system — a first for astronomers. The team was also able to see that the two forming stars are quite far apart — separated by a distance of about 180 astronomical units (the distance from the earth to the sun) — orbiting each other with a period of at most 600 years. According to Zhang: “This is an exciting finding because we have long been perplexed by the question of whether stars form into binaries during the initial collapse of the star-forming cloud or whether they are created during later stages. Another finding of the study was that the binary stars are being nurtured from a common disk fed by the collapsing cloud and favouring a scenario in which the secondary star of the binary formed as a result of fragmentation of the disk originally around the primary. 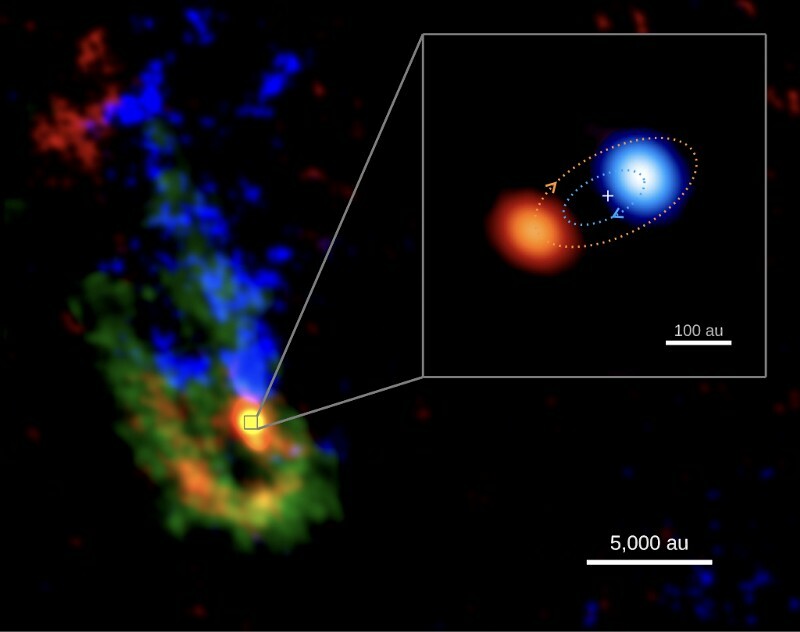 This allows the initially smaller secondary protostar to “steal” infalling matter from its sibling and eventually they should emerge as quite similar “twins”.